It seems the whole polite knife and fork thing is the uncultured way to eat pizza, so put that knife down. "Wallet-style" is how you're meant to consume your favourite carb-loaded saucy treat. 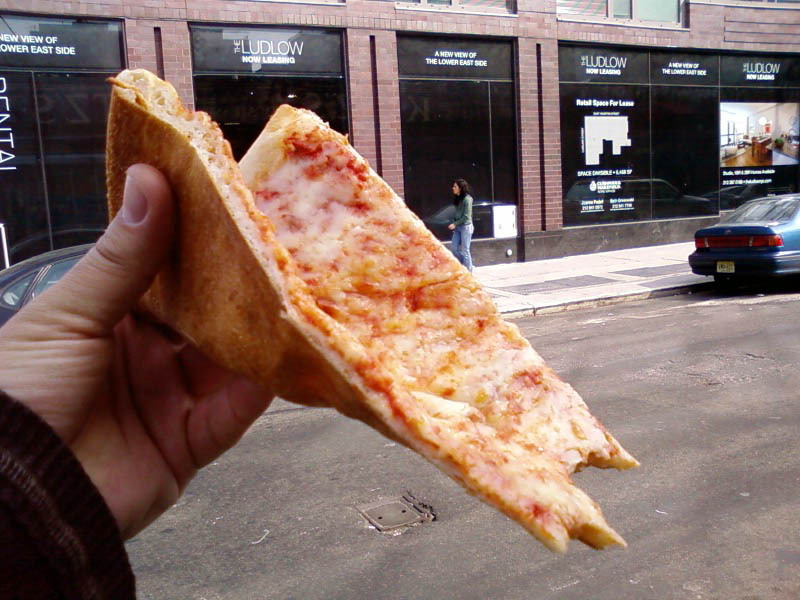 Or if you a skinny person, do a skinny fold and go for the single-slice-fold.